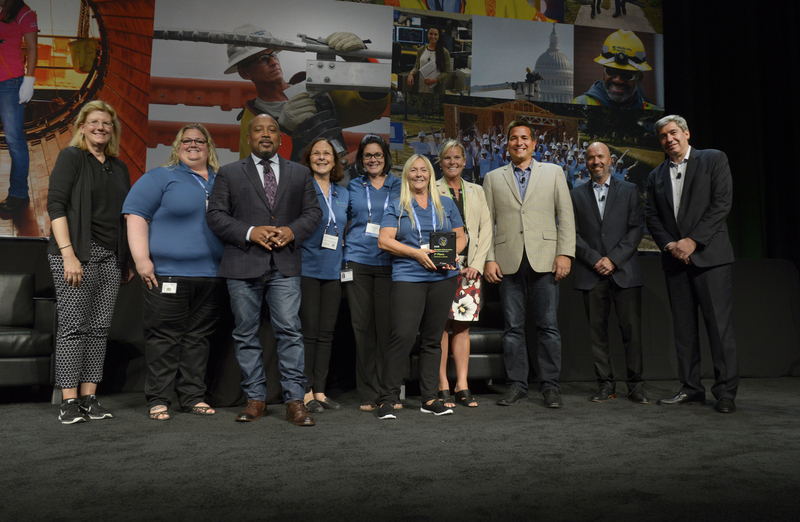 TPI/PHI Autism Advantage/NeuroDiverse Universe Team Win Innovation Award At Exelon’s 2018 Expo. . This program which is a collaboration of PHI and TPI associates, was invited to participate in Exelon’s Innovation Expo, which took place on August 16, 2018. The Innovation Expo showcases exciting technologies, gives Exelon’s employees a chance to show off their inner innovator and brings together industry experts. The PHI/TPI project team entered the exhibition contest as the Autism Advantage/NeuroDiverse Universe Team, and won first place in the fast-pitch contest’s Inspiration/Ideation category, beating out more than 250 other entries. The fast-pitch contest included a presentation in a Shark Tank-like atmosphere before a panel of judges, including Shark Tank’s own Daymond John. Project leaders, Julie Nelson from TPI, and Tracy Orledge, from PHI, delivered the award-winning final pitch in front of over 2,000 Expo attendees. The Precisionists is thrilled to partner with Pepco Holdings in this effort to provide meaningful careers to adults with autism, and honored to have been included in the Expo, and humbled to received this prestigious award. Congratulations to Julie, Tracy and the Autism Advantage/NeuroDiverse Universe Team on this amazing accomplishment.